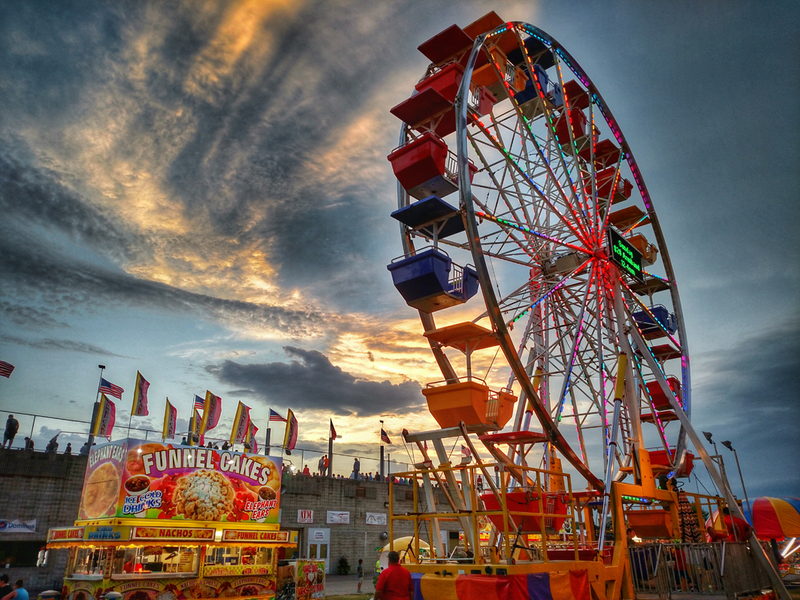 The county fair tradition began in Brown County in 1867 and continues to thrive. Our fair brings back memories of an old-fashioned county fair but always tries to add something new. This year’s grandstand events are the demolition derbies on Wednesday and Saturday nights, Tractor Pull on Friday night, and new this year FireHouse with opening band Them Pesky Kids will be live on Thursday night. Don’t miss Senior Citizen’s Day on Thursday, Kid’s Day on Friday, the livestock shows, exotic animals, open class, 4-H, FFA and commercial exhibits. The carnival will be available all five days of the fair. There will be a variety of free entertainment in the Entertainment Hall as well as the Civic Center stage. The 2018 Brown County Free Fair will once again be hosting the state show of the Minnesota Gladiolus Society on Saturday and Sunday. Stop in and spend an hour or spend the day! Enjoy the rides and exhibits, have some great food with a cool beverage, visit with your neighbors and friends, or stroll through the climate-controlled Civic Center on the grounds for additional exhibits. You can walk right in: there’s no gate charge, and the parking is free, too!